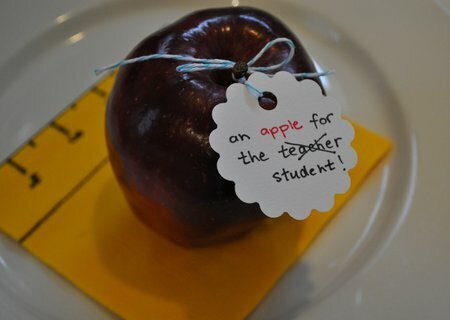 Last night we had a little family back-to-school dinner to celebrate everyones happy return. When the girls got home from school I told them there was a surprise in the kitchen for them. They were so excited when they saw our little party set-up. 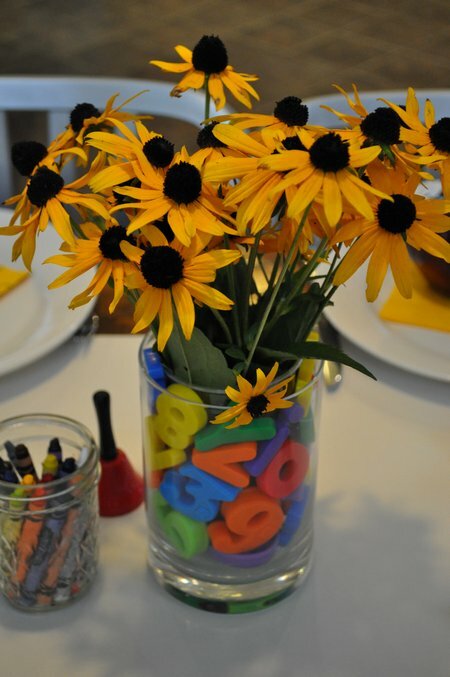 I created a fun centre piece with a vase full of magnetic letters and numbers, and smaller vase inside holding some garden flowers. 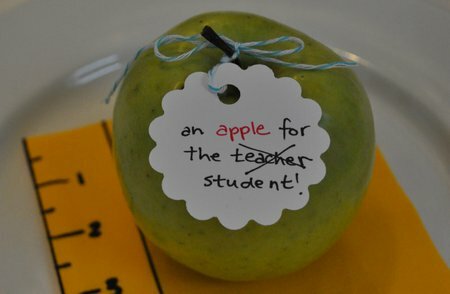 I added a chalk board with a fun greeting and some apples. 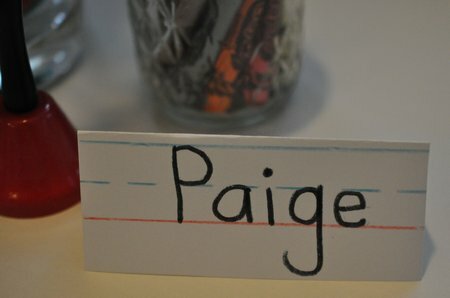 Each person’s spot was marked with a fun place card. I made it out of card stock and added the fun elementary school writing lines. 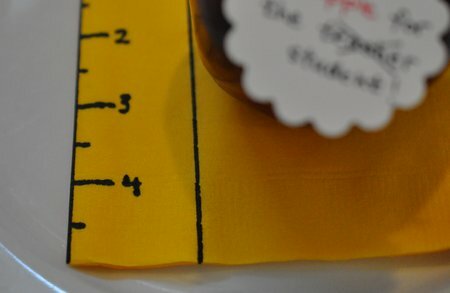 I also made these cute ruler napkins with a yellow napkin and a sharpie. 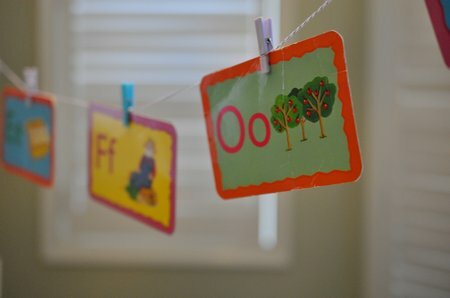 Over the table, I made a quick banner out of old flash cards, some baker’s twine and mini clothes pins. 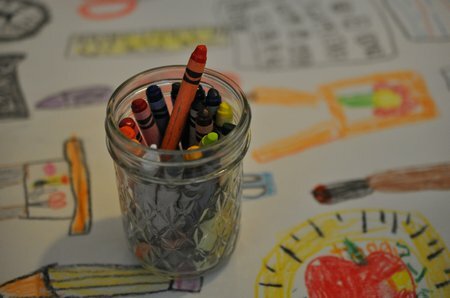 I lined the whole table with some plain paper, and set out a jar of crayons. Maddie went to work after school adding lots of fun school drawings to the paper. 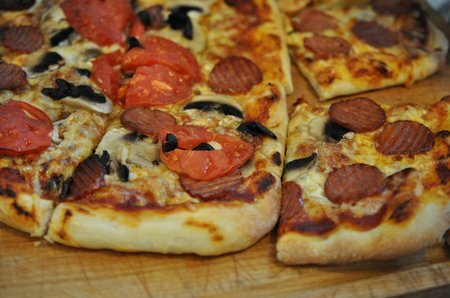 We had a family favourite for dinner -home made pizza! 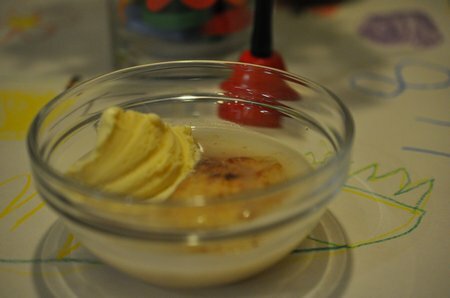 And for dessert, something in keeping with the apple theme, apple dumplings with vanilla ice cream. Find my family recipe for apple dumplings here. They were so delicious! 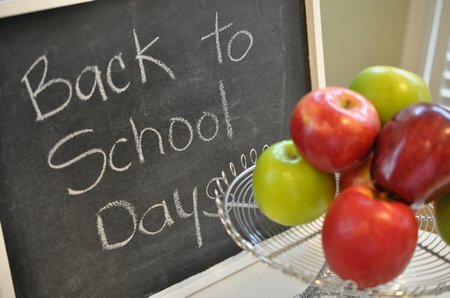 Hoping your “back-to-school” is a party too! This post is linked up at Lil’ Luna, Tatertots and Jello, and Between Naps on the Porch. « Walking through New Doorways -FULL TIME BLOGGING! That was such a nice party for your back to schoolers! This is the cutest tablescape! You made so many of ordinary items into school theme decorations. 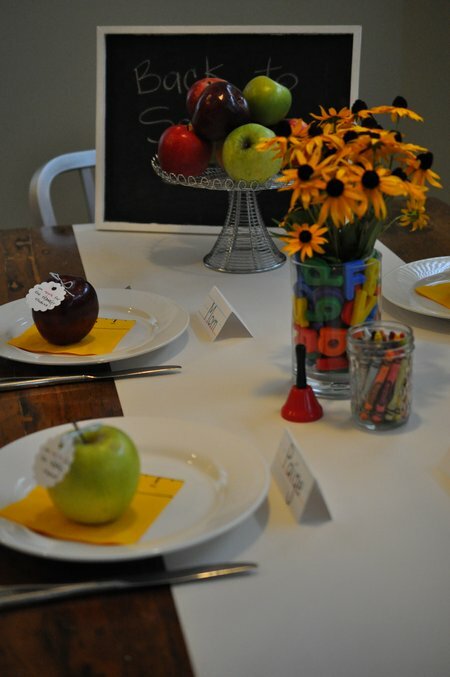 Your creative table included your children’s drawing’s and made it a very special and thoughtful event. I was a teacher but turned stay at home mom and now my son is grown. 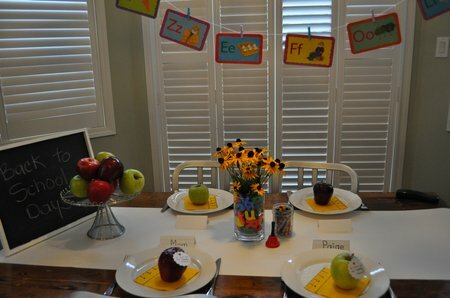 Please pop over to my blog, for I did a back to school tablescape August, 2010 and thought your children might enjoy it!